The nights are drawing in and the weather is getting cooler. This time of year, we get to fall in love again with some of our favorite comfort foods. 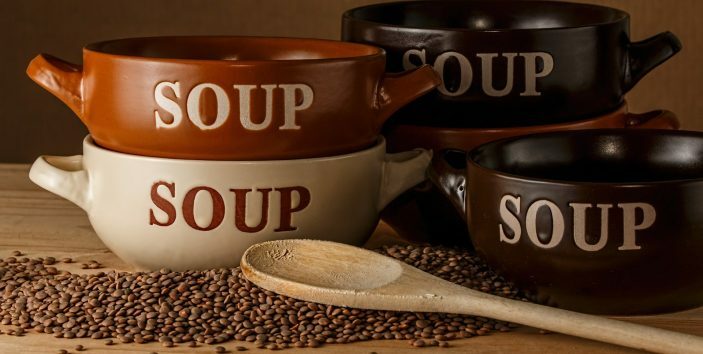 A personal favorite for us at Paul Evans Catering is soup. 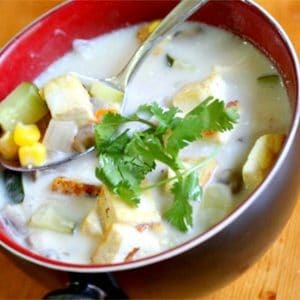 The great things about soups is there are literally hundreds of different delicious combinations to choose from. Here at Paul Evans Catering we love creating and delivering fresh soups either to feed the soul during the day or as a flavorsome starter to a festive three course dinner. We’ve selected some of favorite soup combinations we think will warm your soul. This Asian inspired flavor is wonderful. Fresh and flavorsome, it is a great starter to include when planning your catering menu for any dinner party this autumn. The sweetness of coconut with a zing of ginger elevates the ingredients leaving you feeling full and refreshed. We love serving coconut and ginger soup shot as a beautiful appetizer ahead of a celebration. Find out more. With autumn in the air, it also means Halloween is around the corner and a great way to feed the soul is with a lovely pumpkin soup. This is a great option for the whole family. 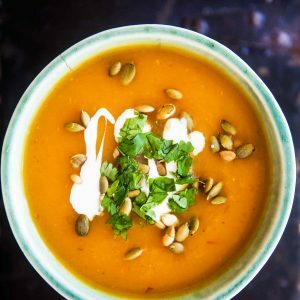 You can add a twist to the humble pumpkin soup with some additions like toasted walnuts, hazelnuts or almonds. Or add a drizzle of pesto oil in your soup just before serving. We think it is delicious! 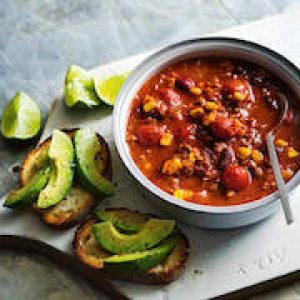 This Mexican inspired soup kicks a punch and warms you up from the inside. With kidney beans and crunchy veg, this is a hearty bowl of goodness everyone will love. This makes a great fall food option for any outdoor or camp fire parties. Add some freshly baked garlic bread for dipping for a hearty meal. Did you know that Paul Evans Catering can deliver the party to your door? You Gather, We Fuss. Leave the work to us! Whether you are looking for some catered winter lunches, or planning your catering for an event this autumn, Paul Evans can help you with any size event. Contact us today to find your perfect menu.